Welcome to Jimmy Smith, who joins our coaching team here at Queens Park Tennis Club. Jimmy will be available for group and private lessons, and will be leading our juniors programme. With his help, we have some exciting developments for juniors which we’ll be sharing with your shortly. Jimmy, 28, learnt to play tennis aged ten at his neighbourhood club in Barking, Essex, where his local milkman was the club coach. His favourite tennis players are Roger Federer and Simona Halep. 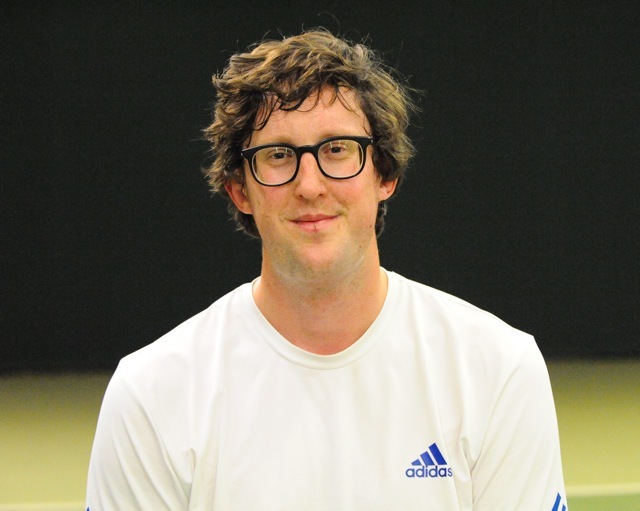 Formerly a British Junior Top 10 player, Jimmy is now a level 3 qualified LTA coach with 10 years experience. He can also teach tennis in French – his mum is from Dijon, France. With Jimmy’s support, QPTC will be launching the LTA’s successful ‘Tennis for Kids’ initiative for local children interested in taking up the game. For just £25, every child will receive six high-quality lessons, as well as a special Tennis for Kids Babolat tennis racquet, ball set, and personalised t-shirt delivered right to their door. We’ll publish more on this later. Follow Queens Park Tennis Club on Facebook and Twitter for latest news, information, photos and funnies.